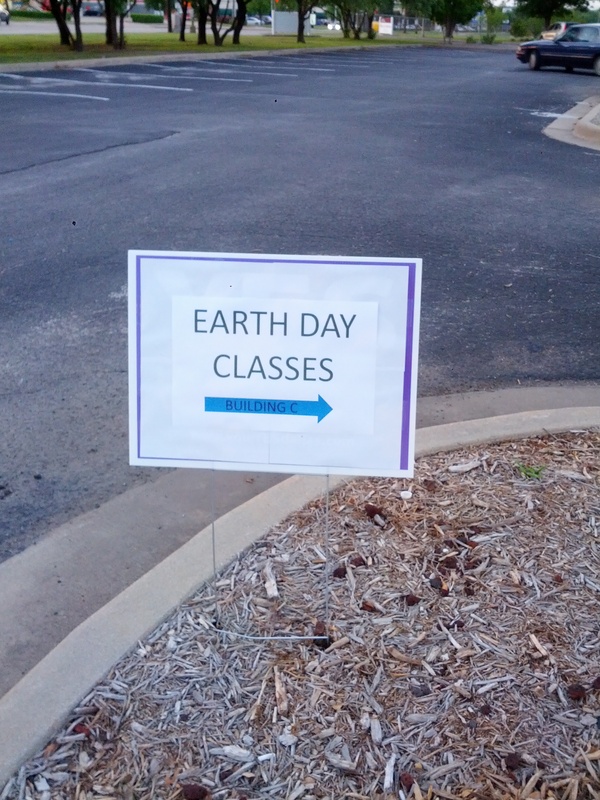 Did anyone else so something to celebrate this past Earth Day? I knew Earth Day was coming and thought it would be fun to get baby girl outside to do something with Mother Nature, but alas it slipped my mind. That was until my friend (from our celiac group) called to ask if I was able to make it to the Rainwater Harvesting class at the local Texas A&M AgriLife Research & Extension Center in Dallas. Some of you may know that Josh and I met at Texas A&M in College Station, so it’s nice to have a part of the school up here with us. It wasn’t until I saw this post from Young House Love that I would have given a rain barrel a moment of thought; but alas it planted a seed. My friend told me about the class, and since we just finished some landscaping in the back complete with garden, I thought this is a must. I wanted to get the okay from Josh with the $50 price tag, before diving in. When I got the green light, Emma and I loaded up the car and headed to the 2-hour class. We were late and only caught the last half of it, so I’ll have to go back over my rainwater harvesting info to learn more on the topic…it was very informative in the 30 minutes I did catch. 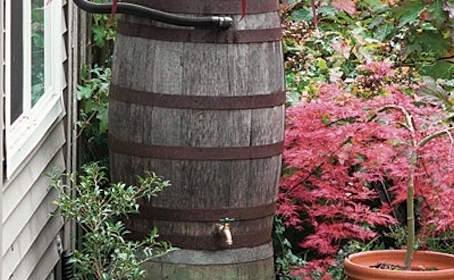 I saw on one of the slides that you can DIY a rain barrel (like a composter) but decided to keep that in my back pocket for next time. All the holes were predrilled for us, making for fast installation of the faucet and insect netting. I was hoping to get to crawl in the barrel, to make for more entertaining photos, but that wasn’t an option (and probably a good thing being prego and all). 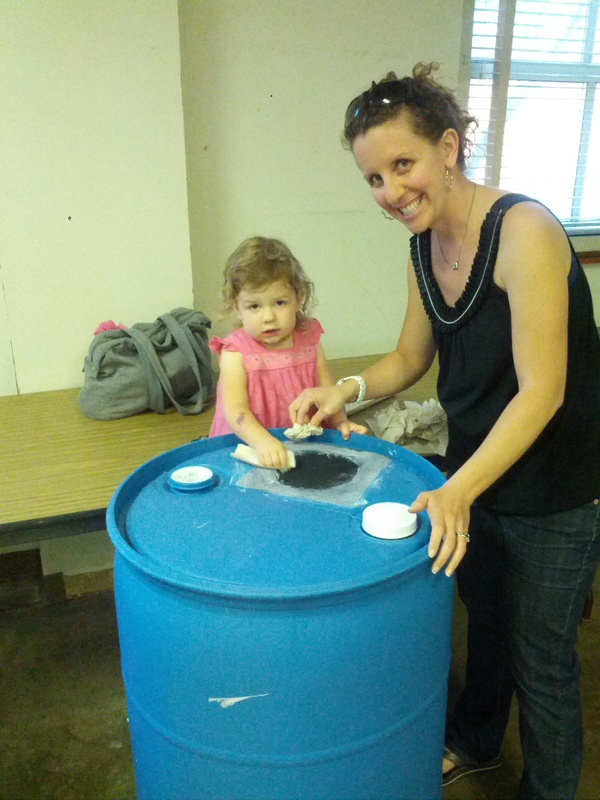 First, they put some caulk around the 6″ hole on top of the 55-gallon food grade drum. Then, we placed the netting over the hole and smoothed the caulk towards the corners. You don’t want bugs or any nastiness getting in your fresh, free water that will be used on plants and vegetables, so this is essential. Next, we screwed in the faucet, and added a huge gob of caulk to make sure it got in all the crevices so there wouldn’t be any leakage. Finally, we were done! That was it. I couldn’t believe how easy it was (not having to drill the holes, etc. ), and thought maybe I should grab another while I was at it…but I restrained myself. The fun part became how to get the ole girl home. Josh has a big truck, and since he was at a meeting close by, I thought I’d have to wait for him for pickup. But, knowing my trusty Honda and all the crazy things I’ve fit in there from back in my Barney & Friends days, I had an inkling that she might fit (with Emma in the back, no less). Violà! My car came through again. I think Josh was the most surprised, but I reminded him that ole Betsy has been through a lot. The guy that helped load her up said they’ve fit them in a Smart car, so I knew I had a fighting chance. When we got the barrel home, I just tossed it in the back yard since it was already pretty late. I knew the landscapers were coming back today to finish the vegetable garden and would have a better idea of where to place it. I am planning to elevate it pretty high so gravity can do its magic and have easier access. I also wanted to put it by the garden so we could hook up a soaker hose to leave there for no-fuss watering. 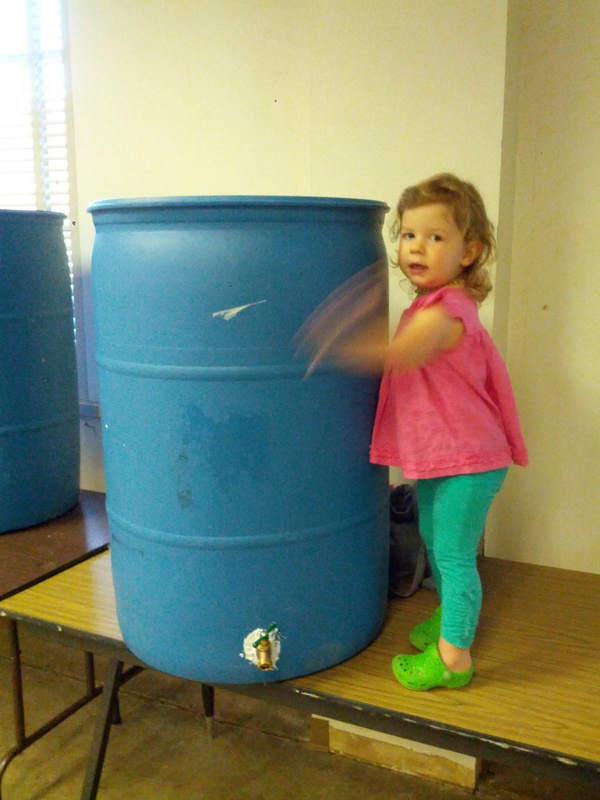 There are so many pluses for having a rain barrel and I can’t wait to harvest all the crazy rain we’ve been getting! 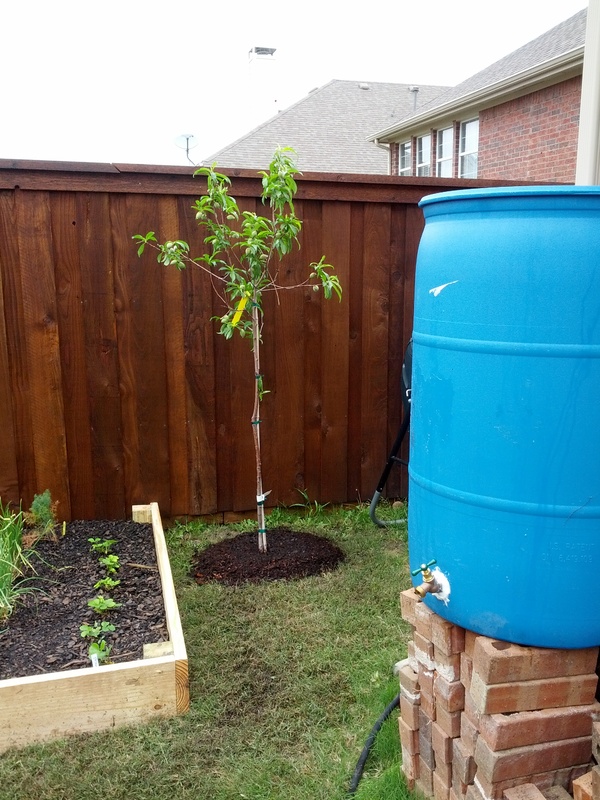 We are lucky here in Dallas to have non-acidic rain water, which is nice. 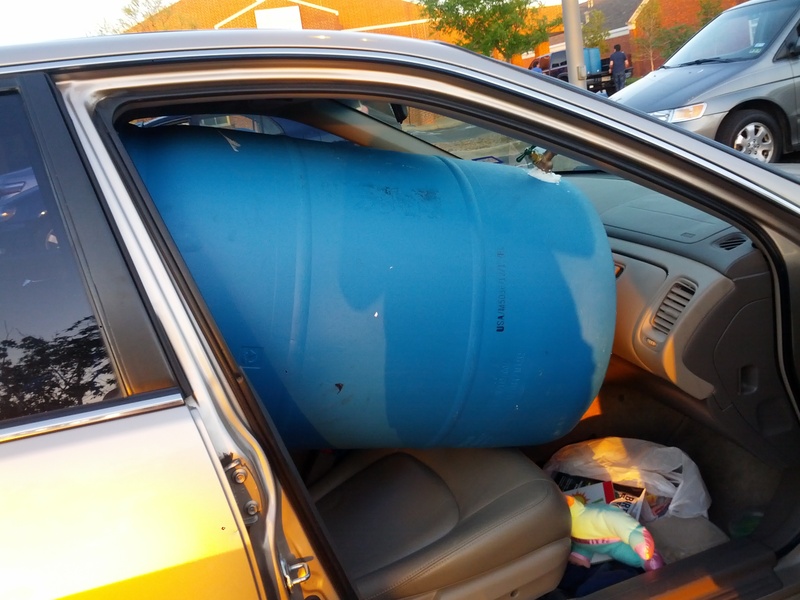 I’ll admit I didn’t realize what all went into keeping a rain barrel. It didn’t help that I couldn’t totally focus during the presentation since I was trying to keep an eye on Emma and get her to be quiet while she sang ‘head, shoulders, knees, and toes’ to a complete stranger. 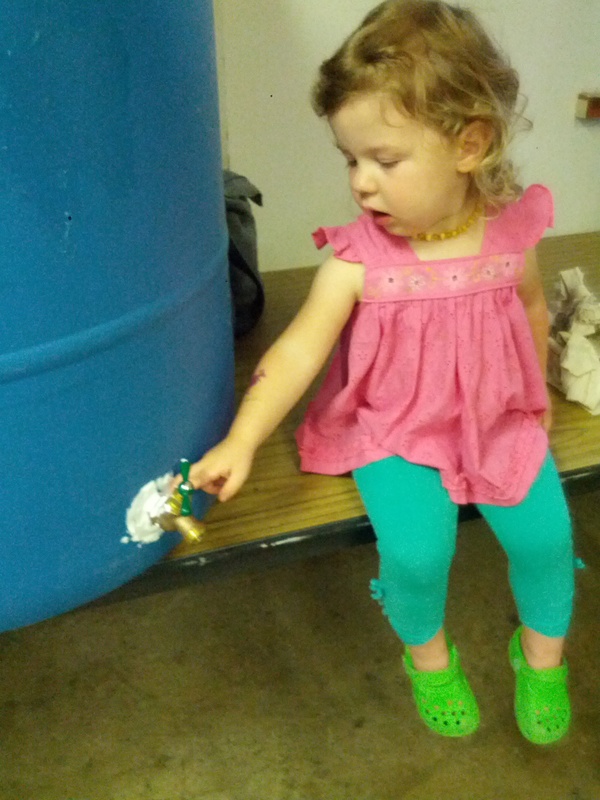 Ah, the joys of toddlerhood! They also talked about decorating your barrel by either painting it or covering it with wood slats. The guy even gave me the idea to do kid’s handprints on there, which I thought would be fun especially when bébé #2 comes along. You know I’ll keep you posted on what we do in the end. I’ll also be back when we finally do hook up the barrel to the downspout and get the barrel ball rolling. What about you guys? 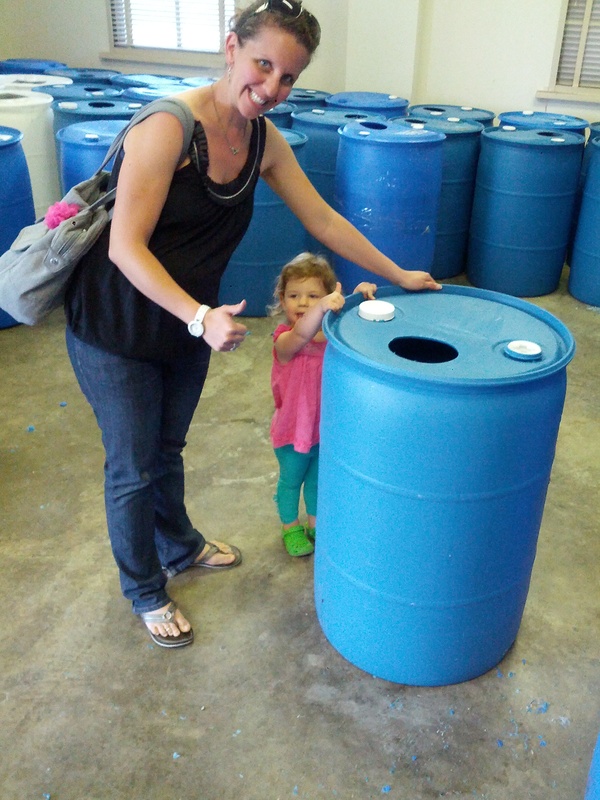 Do you have a rain barrel at home? Did you do anything to connect with or celebrate Mother Earth? It used to be a big deal when I was in college, but we have since let the day get away from us. Maybe now with having kids, I’ll make a conscious effort to connect with nature more. Note: Check out the AgriLife Extension classes here for more info on making your own. Making one is on my to do list!! ~M.